Janette qualified from Bristol University in 1998 and subsequently pursued her ambition to work in equine practice. Her career initially started in Lincolnshire and Wiltshire working in first opinion ambulatory practice but quickly aspired to work in the hospital environment. She moved to a large hospital practice in the South of England and gained considerable experience in racing work, sports medicine, lameness and anaesthesia. She completed an externship in ultrasonography at the University of Pennsylvania and moved to Hampshire to follow her interest in the performance horse, becoming the Team Vet for the Irish event team in 2007/2008. She set up her own practice in 2009 and has enjoyed the fresh challenges of running a business! Janette is an FEI Permitted Treating Vet and an accredited racecourse vet. Outside of work, Janette enjoys the great outdoors, running, riding, skiing and climbing and is a keen follower of country sports. mixed practice for the next three years before heading to the south coast in 1998 where she worked in a local equine practice until joining Kings Bounty in April 2015. 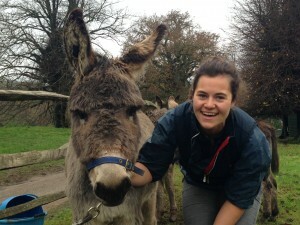 Elizabeth (Liz) enjoys all aspects of equine practice but has a particular interest in stud and foal medicine. She is also an accredited racecourse vet. 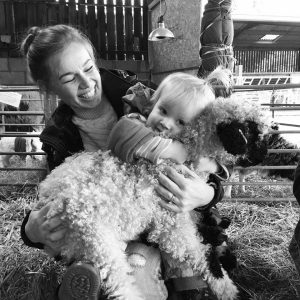 Outside of work , she has followed her farming roots and has a small flock of pedigree Jacob sheep that she hopes to have success in the show ring with as well as a larger commercial sheep flock. When time permits she enjoys going to the gym and in the past was a keen horsewoman having owned her own horses and has a particular love of heavy horses specifically Clydesdales which her family used to breed and show from the family farm in Ayrshire. Sara graduated from the Royal Veterinary College in 2013 and immediately started an internship in the RVC’s Equine Hospital where she gained considerable experience in lameness, diagnostic imaging, medicine and anaesthesia. Since completing the internship in 2014, Sara worked as a veterinary assistant at an equine practice in Buckinghamshire and also returned to the RVC to work in the equine diagnostic imaging suite at the RVC’s Equine Hospital, teaching final year students the art of equine radiography! In the autumn of 2014, Sara joined Kings Bounty Equine Practice and has subsequently shown a clear enjoyment of all aspects of equine veterinary work, currently working towards her Royal College Certificate in Advanced Equine Practice. Outside of work, Sara likes to let off some steam in the gym or run outside, especially with her little rescue dog! She spent her childhood riding and competing her horse in British Dressage so is hoping to get back in the saddle sometime soon. She also is an extremely keen baker and loves to sing! Our Practice Manager, Becky, joined the team in 2015 bringing with her considerable experience in both the financial and equine world. As a long standing and loyal client, having experienced the veterinary ups and downs of owning an orthopaedically challenged horse, Becky is well placed to run the practice, dealing with anything from accounts to insurance claims. Socially, Becky enjoys spending time with her family and manages to find time to ride her horse and walk her huge Alaskan Malamute “Dakota”. Jason, otherwise known as ” Dorset” (Janette’s partner) , has joined the team this year to help Becky with the running of the practice. 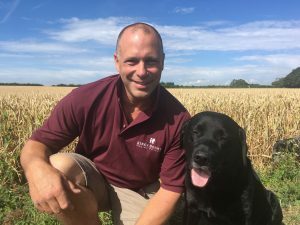 He has considerable experience within the agricultural and equine industry managing both client accounts and employees in his previous roles. Jason grew up in the saddle, hunting and successfully Team Chasing, becoming British Champion three years running! Pictured here with the love of his life, Murphy, he is a keen follower of country pursuits and enjoys working his canine pal in the field. Laura joined the team in 2018 with strong experience in both the equine and office world. 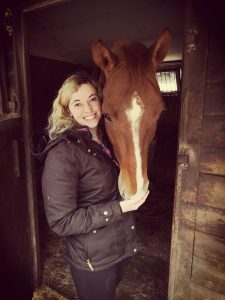 Laura has had her own horses from a young age and gained invaluable experience working within the breeding side of the horse-racing industry while studying for her Horse Management Diploma at Sparsholt College, and English Literature Degree at the University of Surrey. Laura’s considerable office experience combined with her practical equestrian knowledge means Laura is well suited to life at the Practice! Outside of work, Laura is a BHS Accredited Professional Coach and enjoys coaching horses and riders around Hampshire, specialising in Dressage. She also loves to spend time with her family and explore the countryside with her four Cavalier King Charles Spaniels! 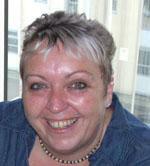 Kim has been part of the team since Janette set up the practice in 2009. She is responsible for the typing of the medical records and the invoicing. Kim lived on a dairy farm and although not historically from an equine background, her knowledge has expanded considerably through the years of working in equine practice. She frequently comments how she has become attached to the horses and loves following their progress as she types up their records over the years! Rachel joined Kings Bounty in 2018 initially performing general office duties but now helps Kim with the typing of invoices. 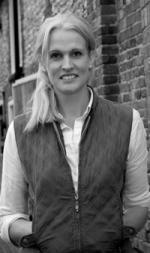 Rachel learnt the equine ropes within the showing world after leaving Merrist Wood Agricultural College in 2005. With dressage being her passion, she went on to become the sole charge groom for a rider competing nationally at Grand Prix level with home bred horses… the girl can plait! Rachael has worked in media sales for Horse&Rider, PONY and Dogs Today magazine and comes to us from the administration team at Wellington Riding, so her practical knowledge and office skills within the equine industry are a good fit for the practice! It’s been 7 years since Rachael owned and competed her own horses, but she’s hoping that might change once daughter, Phoebe, is old enough to learn to ride (she hasn’t told her husband this yet!). For now, running with their Boston Terrier in tow and dabbling in some interior design projects occupy her free time. Steffi graduated with a degree in Psychology from Newcastle University in 2014 and then successfully gained a Masters in Sport and Exercise psychology at UWE in 2016. She quickly became a valued office member of the practice when she joined us in 2014, and now helps part time with the typing of medical records covering Kim and Rachel. 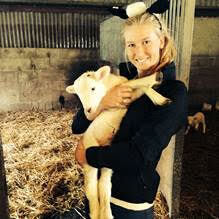 She has various animals including some Wiltshire Horn sheep (pictured here with one of this year’s lambs! ), 3 dogs, a cat and a horse, Clive, who she events, hunts and team chases! Steffi contributes a great deal to the practice marketing by flying the Kings Bounty flag competing with friends (and clients) as the Kings Bounty Belles Team Chase team!